I wish I had had enough foresight to take before and after photos, but unfortunately I didn’t. 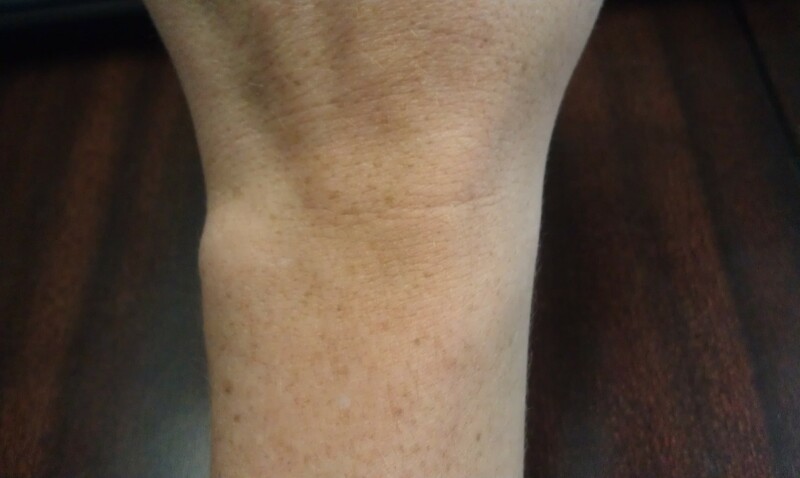 After two cortisol shots, my left wrist is almost back to normal! Of course, him pointing them out and giving them a scary name only brought them to the forefront of my mind. As I began treatment, they didn’t seem to be going down. Then, several months ago, they seemed, in my mind anyway, to be getting worse. Where there were once two smallish bumps, there were now three merging into one massive, swollen, misshapen wrist. Whenever I caught a glance of it, my mind immediately leapt to the gloom and doom thinking of, oh my god, the disease is getting worse, treatment’s not working. Then there was a little voice in my head telling me I was embellishing both the severity of the physical deformity and what it meant to my disease prognosis. Both voices were making me a bit crazy. Needless to say, I started wearing some big bracelets. Out of sight, out of mind, right? This isn’t mine, but it’s similar to the style I was wearing. Well, not exactly. My next rheumatologist appointment rolled around and I asked if he thought my left wrist was getting worse in an off-handed way. He didn’t say yes, but he just said, “I’ll shoot medication directly into it, that should work better.” Right. In my doc speak, that means yes. Before I knew it, he was spraying cold numbing spray on my wrist and poking two massive needles of cortisol into either side. Truly, it didn’t hurt much. If you ever have to do this, it’s really nothing to be afraid of. It was more psychologically painful than anything (that’s right, I’m still not used to needles). The spray feels a bit uncomfortable and my wrist stayed kind of numb for awhile after. Other bad news (at least I take it this way), my doc and I decided to raise my dose to eight Methotrexate pills per week (up from six) along with weekly injections of Enbrel. 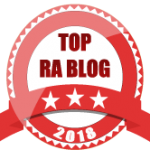 It’s hard not to be discouraged, because when I first saw my doctor, he threw out early fall as the time we may be able to have my RA in remission and take me off some drugs. The new time is March 2013. Just in time for my marathon for those of you who are faithful readers. I’m trying to replace discouragement and disappointment of my progress with optimism. And hey, if I’m going to be on this crazy toxic drug, I might as well be taking enough for it to be effective. I guess I was a bit shaken after my appointment (I need to stop going to these things alone), because I got into an accident with a parked car while parking at my apartment. I was trying to not use my left wrist, which wasn’t something my doctor told me to do but between the shots and the numbing spray, it felt weird to use it. My car is hurting worse than the other guy’s. For those of you who think you might be getting this procedure, bring a friend to drive you home. The good news of all this is that my wrist is back to the size and shape of a normal person! No more big bracelets (unless I wanna wear them – they are pretty). No more constant reminder of my disease! Yippee! Post injection. It pretty much matches the other side now. This entry was posted on August 21, 2012, 4:56 pm and is filed under Dealing, Drugs, RA/RAD, Symptoms. You can follow any responses to this entry through RSS 2.0. You can leave a response, or trackback from your own site.